Is the HCG diet safe? Are there possible dangers to the HCG diet? What do I need to know before doing the HCG diet? What is the real cause of weight gain, overweight, and obesity? 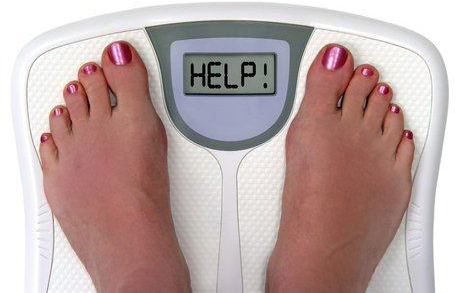 There are so many diets out there, is there a diet that really works? Why do people gain weight back after going on a diet? Have you had similar questions as these? I have often wondered the same thing. In this blog, we are going to scratch the surface in an introductory to one key factor many diets do not address. I believe this one element is the root cause and the answer to the questions just listed here. Since 1993 I’ve been researching and looking for the answer to why so many people fail at weight loss, and we will be discussing a lot of this more in future blogs. But for the sake of today’s blog, let’s tune in as Dr. G takes a phone call from Jacob, who calls in with a question about the Dr. Simeon’s HCG diet protocol. Dr. G discusses with the caller and his radio listening audience that the number one health risk and reason why the popular HCG diet often fails resulting in bad press from the media. This is the same reason many other diets also fail, and no one else is talking about this! But if you do just a few simple steps in preparation, during and after, then your success from this diet is greatly increased. Here is that interview from Dr. G’s radio show. Dr. G talks to a 17 year old guy who called in to ask about weight loss. He recently lost 95lbs. on the HCG diet protocol by Dr. Simeons, and as laid out in Kevin Trudeau’s book the Weight Loss Cure. (Which by the way, even though Trudeau’s book has been prized by the HCG community, Kevin does not go into the root cause of weight problems. See our HCG coach recommendation at the end of this blog.) He’s 150 lbs. now, but still has a belly and love handles, and wants to know if Dr. G has any advice on how he can lose it, keep it off and tighten his skin up afterwards? Dr. G: “So how did you feel? How was your energy, your sleep, your mood and everything? Was you pretty good when you were doing all of this? Jacob: “Oh yeah totally, I was fine. Maybe a little sleepy at times but that’s it. Dr.G then goes on to explain, “From our point of view, which is a good point of view, the only reason that people gain weight is because they eat too many calories. It’s not genetic, and it has nothing to do with a slow metabolism. The only reason anyone gains weight is because they eat to many calories, period. The only reason we eat too many calories is because our bodies are nutritionally starved. Your body is forcing you to eat in the desperate attempt to fulfill it’s nutritional tank. The problem is that the food we are eating doesn’t fulfill the bodies nutritional needs and so we’re hungry and we’re hungry and we’re hungry, and then eventually the body freaks out and makes you eat. “When we are on a program like HCG that forces the hormones of the body in a particular direction you will lose weight. Especially anyone who goes on a 500 calorie a day diet they are going to lose weight. The HCG and other products make it easier by taking the kind of metabolic edge off so that you are not starving and dying while you are only eating 500 calories a day. 2. Eliminate the 10 Bad Foods from your diet. Sign Up for your free weight loss video, and as a bonus I’ll include the 10 Bad Foods video for free as well! You can get this information from our website, http://www.rjmerchants.com/10badfoods. You need to do both of these or the weight is just going to come back. See also why Minerals are so vital to good health. Please note that if your body is already nutritionally deficient, a 500 calorie a day diet could cause undesirable health consequences. Understanding that being overweight is a symptom that the body is attempting to fill it’s nutritional tank, and that getting proper nutrients is of vital importance before doing HCG or any other restrictive diet, is your key to reaching your weight loss and overall health goals. Please get educated before doing this or any other diet so you will have the knowledge to become NUTRIFIED!! Again, please do not do HCG or any other diet without first watching our video on either weight loss or obesity simply by signing up at http://l120y.com/1201-2/. After you’ve come to understand the real culprit to weight gain, and the aspect and importance of getting proper nutrients into your body, then you can proceed to a your successful weight loss for life plan. 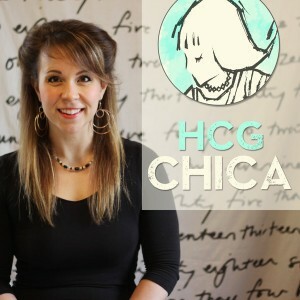 If the HCG diet is your desired method, I don’t know of anyone else out there who has dissected it like HCG Chica has. Free Courses Reveal How To Optimize Your Health No Matter What Your Condition May Be!!! We are currently working on more blogs on the topic of weight loss, the HCG diet, and many other interesting health topics that can be helped by simply having the knowledge about what to do, so check back often. Remember, education is your key to success with your health goals, so if haven’t already, sign up for your free health video education today. Thank you for stopping by to our RJ Merchants Medical Nutrition based health blog. Please check back for more blogs. If you found this blog helpful, or you have a health concern you’d like to see a blog about, please contact us and let us know about it at blog [at] rjmerchants.com. Don’t forget to “Like” us on Facebook, and share us with your friends. Excellent ! Thanks for the links also !